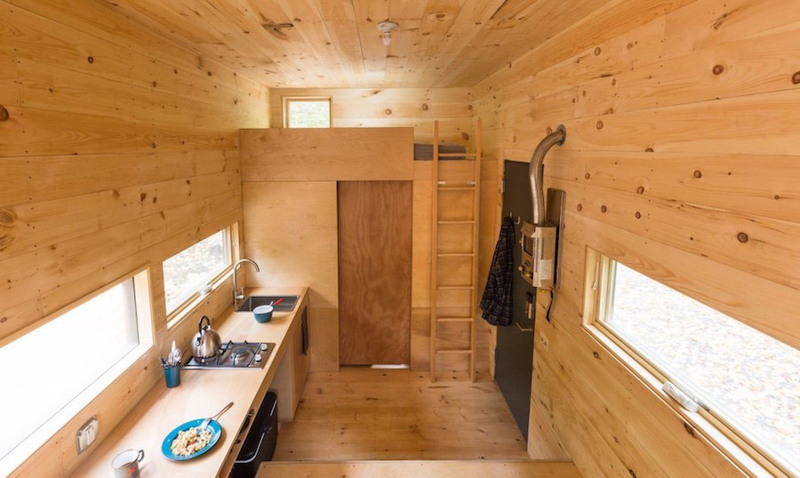 I ADORE this tiny house. 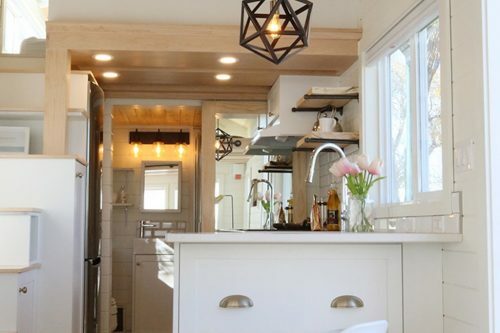 Beautiful use of materials and so stylish! 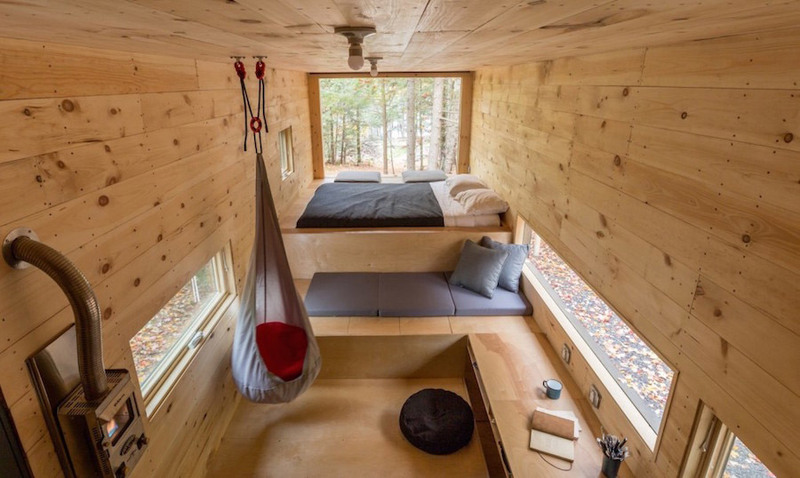 Love the main floor bed and tall living space. Well done! This is interesting on so many levels. 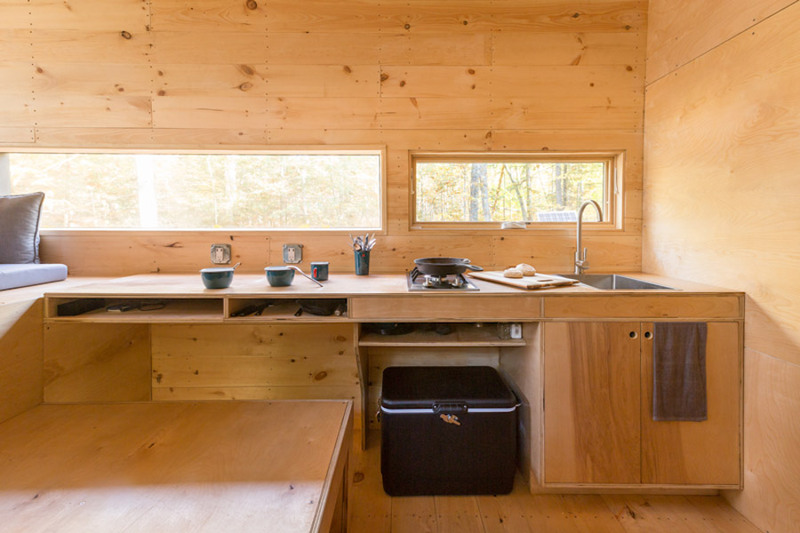 If you explore the link, the concept of a tiny house as a restorative retreat is illuminated. 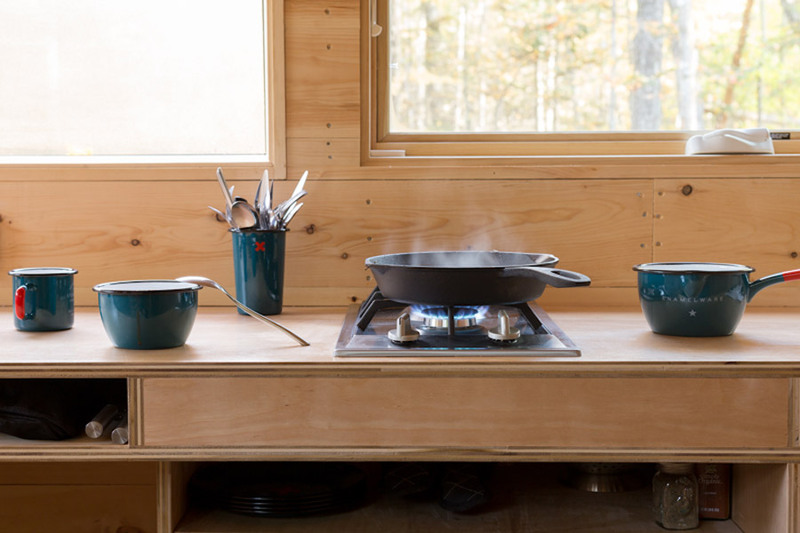 I’d suspect this simplicity in design and concept – get out in the woods and listen – is part of the appeal of tiny living. It’s certainly well planned as a retreat and some will want to change the program to suit their needs for longer term habitation. 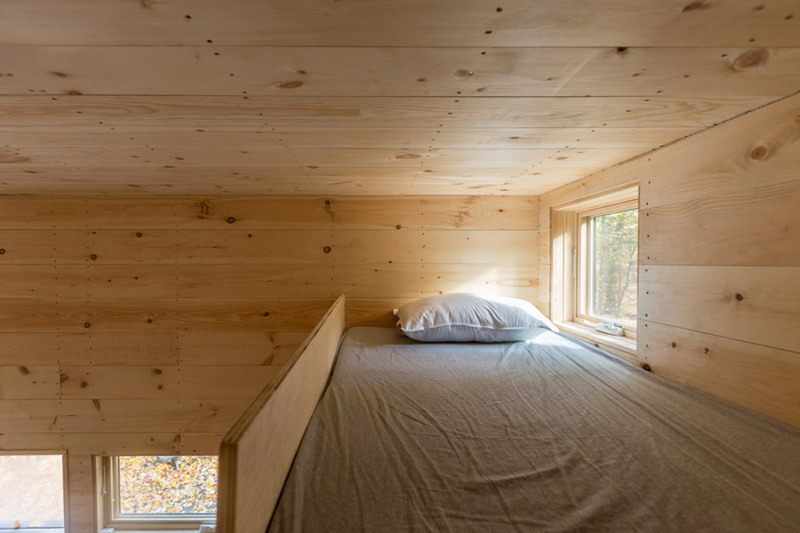 The scorched wood exterior and pine & plywood inside won’t wear much on you with time; it’s easy to change the look with a few simple changes or maybe a new shade of stain. The pared down detailing allows you to focus on the space inside your head versus the outside world. 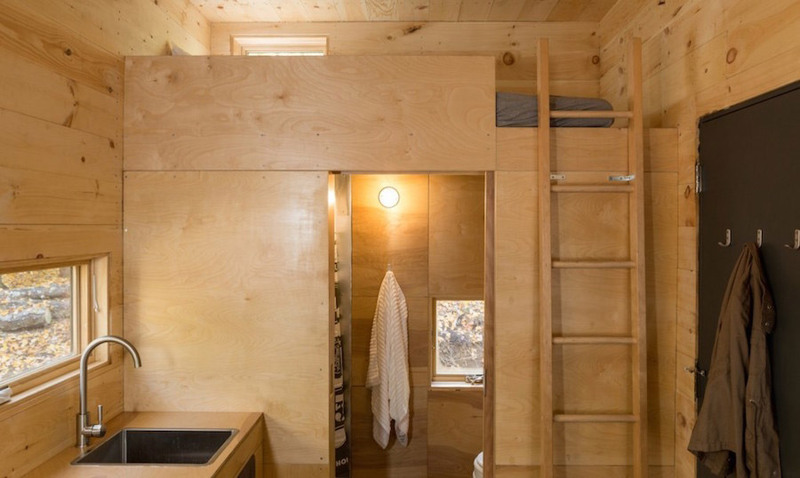 As forward looking and sophisticated as this is, the emotional values compel me to consider this a true tiny home in the best sense. Loved your reply…you are right on! This is beautiful. The design strikes me as exciting and adventurous for young people, such as the couple featured in these photos. 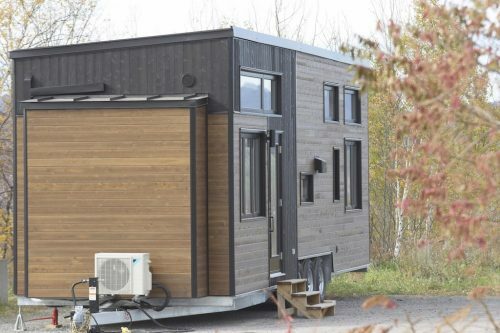 One of the best tiny houses I’ve seen. Bravo. It’s a gorgeous, clean aesthetic. Would fit neatly and sweetly onto many a property and would be a pleasure if glimpsed through the woods, say, from the main house, since so many of these end up in that kind of arrangement. And what Mike and Robert said, seconded enthusiastically. Nice little space, but not what I’m looking for. Nicely done. Second all the positive comments above! Could easily become a full-time residence. Wow I just love the window in the back. 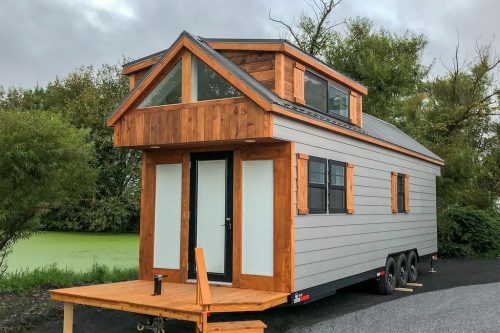 I love this idea for a tiny home because it looks as if it would be easy to build and probably could be done for under ten grand. Of course I would need 3 burners instead of 2 because I am a foodie and love to cook. 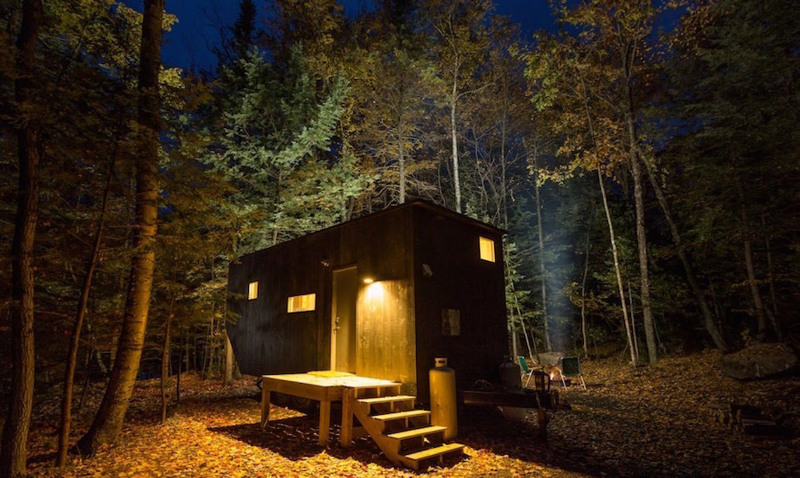 The idea of spending time in the woods and having fires every evening and a bottle of wine to boot with friends is very appealing. 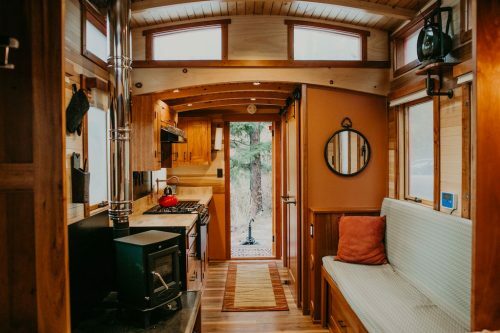 And with that huge window one could sit back at night and stare out at the woods and maybe catch a glimpse of a sasquatch. Love this house. I live and work in the Boston area and was surprised to see that this was listed as being in Allston which is a densely populated section of Boston. Upon further investigation, it seems that the business that operates it may be in Allston but the tiny house is not. I love the project! Very cool! !